358 Security Fence is now rapidly growing in uses. Panels can be palisade type with sharp tops, posts type and railing types. The fence panels can be also made of common welded mesh Wire, expanded metal fencing or other metal materials. 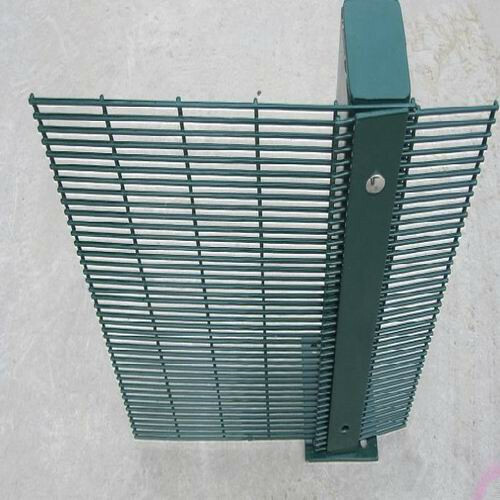 Looking for ideal 358 Prison Fence Meecurity Sh Manufacturer & supplier ? We have a wide selection at great prices to help you get creative. All the PVC Coated 358 Prison Fencing are quality guaranteed. We are China Origin Factory of High Security 358 Prison Fencing. If you have any question, please feel free to contact us.